This simple, easy to make recipe, will tickle your taste buds and leave you utterly satisfied. 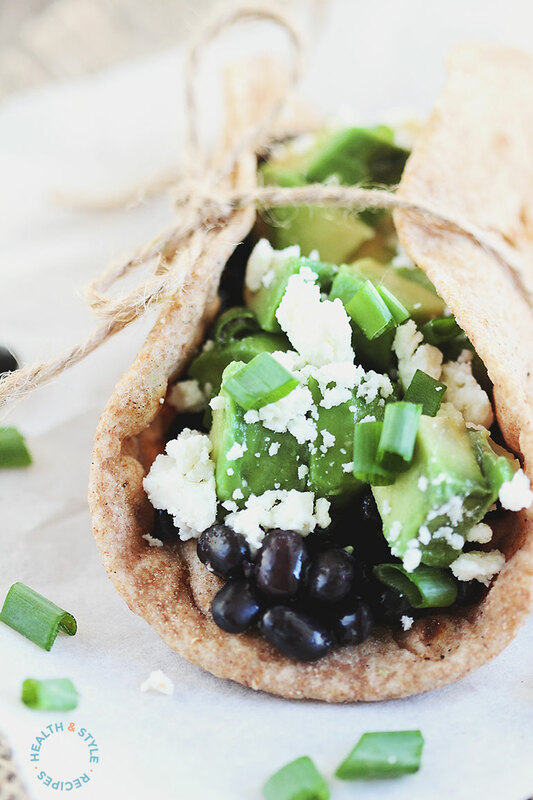 If you’re pressed for time or stumped for something that is fresh, simple and healthy, make sure to add these black bean and avocado tacos to your recipe collection. 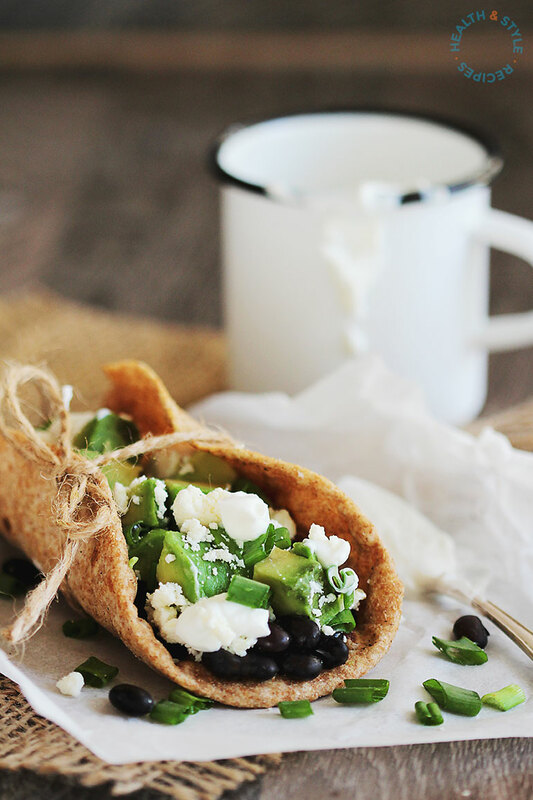 Avocado, black beans, yogurt, and goat cheese make this taco filling. Drain the black beans and wash with plenty of water. Place them in a bowl, together with the juice from one lime, salt, pepper, red and green onion. Mix well and set aside for the flavors to combine. Prepare the yogurt sauce by mixing the yogurt with the juice from one lime, crushed garlic clove and a drizzle olive oil. Peel the avocado, remove the stone and cut it in small cubes. 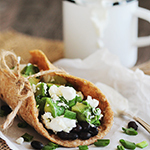 Assemble the tacos – place 3-4 spoons of black beans on each taco, top with avocado cubes, crumbled goat cheese and yogurt sauce. Garnish with green onions pieces and roll the tacos. Serve right away.